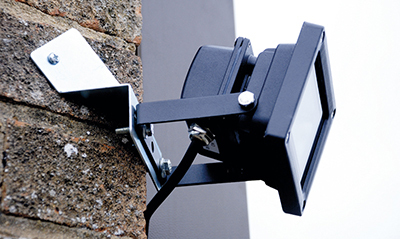 Welcome to KR Products, the leading floodlight bracket manufacturer and supplier. 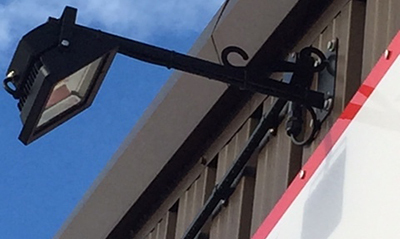 We specialise in the design, manufacture and supply of floodlight brackets; including swivel brackets, ground spikes, pole brackets and sign lights. We supply our products through electrical wholesalers and buying groups. Our brackets range is designed to provide strength, durability, and flexibility for the end user. Our design enables multi-directional adjustment to direct light to specific places or illuminate obscure areas. 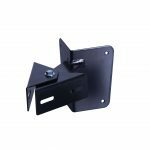 Our swivel brackets allow you a broad scope of horizontal adjustment, giving your floodlights greater reach, versatility and lighting potential. 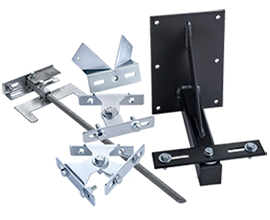 We specialise in the design, manufacture and supply of a full range of universal brackets, suitable for floodlights from 10W LEDs up to 200W induction fittings. 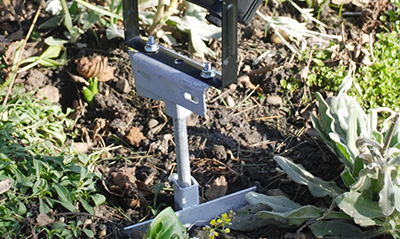 We offer various mounting options to suit your requirements, including wall, corner, pole/column and ground spikes. Please view the category pages above for further information. Concentrate light exactly where you need it with a highly flexible level of horizontal and vertical adjustment. Swivel feature allows rotation. 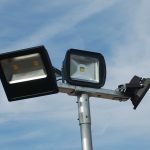 Floodlights can be fitted wherever you need them– on walls, on corners, overlooking signs and shop fronts, in the ground in gardens or pathways, or mounted on columns and poles. 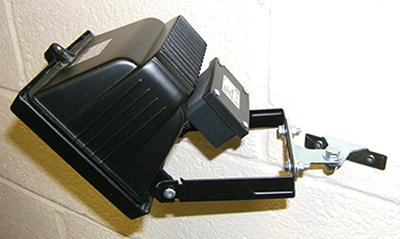 Our brackets provide access to concentrated light in whatever setting it is required. 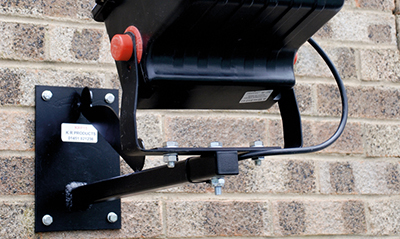 Designed for universal use; our brackets fit most floodlights in the market. Our brackets are easy to install and fit without specialist knowledge or equipment. Our brackets are resistant to rust, corrosion and weather damage. We utilise the best materials and manufacturing standards at competitive wholesale prices. 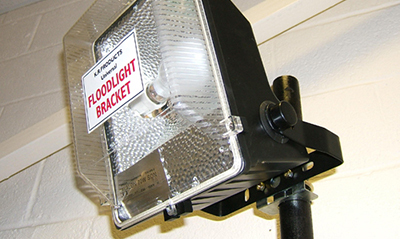 We supply our complete floodlight brackets range through electrical wholesalers nationwide. For all our customers, our focus is to provide the highest possible quality products, unbeatable customer service, and excellent value for money. If you are a wholesaler and are interested in stocking our brackets, please contact us to speak to one of our advisers. If you are an independent electrician or contractor, please purchase our brackets through one of our wholesale partners. You can find out about local availability by contacting us. We are happy to answer any questions you may have about our products. We are currently working to supply electrical wholesalers in a number of other countries, so please contact us if you are interested in becoming a wholesaler of K R Products in your country. You can call us on +44 (0)1451 822 320 for any further information. Complete your details and we will call you back today! 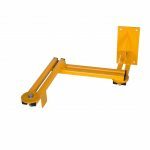 We offer a full range of floodlight brackets ranging from small brackets to carry 10W LED / 150/500W floodlights, to larger brackets to carry 100W LED / metal halide / son / 200W induction fittings.